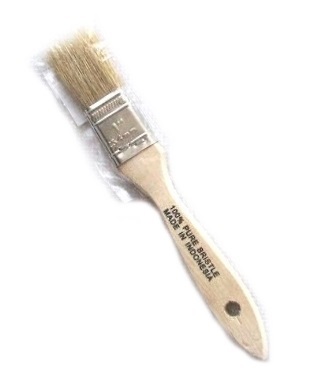 PRODUCT: 1 inch wide Natural Bristle Paint Brush / Chip Brush / Pastry Brush. Set in wood handle. Price/Brush.